Thank God for volunteers. They change the world. I’m completely serious right now. God bless volunteers. What would we do without them? Well, I imagine we’d do a lot less. I’ve often wondered at what I could do in the world with 10 good men. Or 10 good women. Imagine what a church can do with 10 good volunteers? It changes everything. It’s no longer a minister or two against the world. Its a team, then an army, and pretty soon a movement! Lay ministers, lay staff, as they call them are real game changers. It changes an impact from hundreds to tens of thousands. There’s a crisis of volunteers I think. I work in the Salvation Army, and at our corps we generally have good amounts of volunteers. Well, it depends on the corp. The corp I work at is blessed with a lot of volunteers. But none of them are under fifty. That’s just a fact. Millennials like myself are hard to coral into a community, or into doing free work. Volunteering is essentially working and helping for free. Millennials aren’t too concerned with being in community, despite the growing and intense loneliness expressed by those who spend a great deal of time on social media. Let me suggest to millennials: Be part of a community. Make a commitment, good times and bad, to be a part of something greater than yourself. Choose wisely. Of course I’m going to suggest the Salvation Army in your area! Why not? Salvation Army takes Christianity to the extreme. And we millennials are often extreme. We want to do things that have meaning. It’s not extravagant, packing boxes and hauling carts full of food, but it’s more meaningful than all the videogames, social media, nights at the bar, and party events combined. Change the world. That’s what your always saying millennials, so do it. Do it the nitty gritty real way, by working hard in the thankless role of the volunteer. Nobody is going to toot your horn when you’re a volunteer, well, aside from me. Volunteers change the world. I love volunteers. Watching volunteers work hard, day and night is the most encouraging thing. I want to cry when I see them, because they are so wonderful. Yet even if millennials aren’t willing to grow up and step into charity service, church service, and food pantry volunteering don’t worry, they’ll still end up in the same place. We regularly receive volunteers from the county jail and from young people on probation! So either way, young adults end up at the pantry sorting goods. Either they come to volunteer, or they come to get out of the jail for a few hours. I prefer volunteers, but either way it'll happen. Young adults will have to find a way to grow up and become a part of community, or they can remain children behind bars. It’s a conundrum. I’ve found it very rewarding to engage in community. I never did in the past. I thought it was stupid and I preferred to be on my computer or playing videogames. Yet when I cleaned up and found Jesus, I began to enjoy community and fellowship. I slowly stepped back into the world. I slowly became a part of community, even though it was at times difficult and strenuous. Often it was so difficult to deal with personalities and annoying people that I almost withdrew again. But I stuck it out. The benefits of long term friendships and relationships far outweighs the pains of disagreements, conflicts, and annoyances. Thank God for volunteers. They change the world. 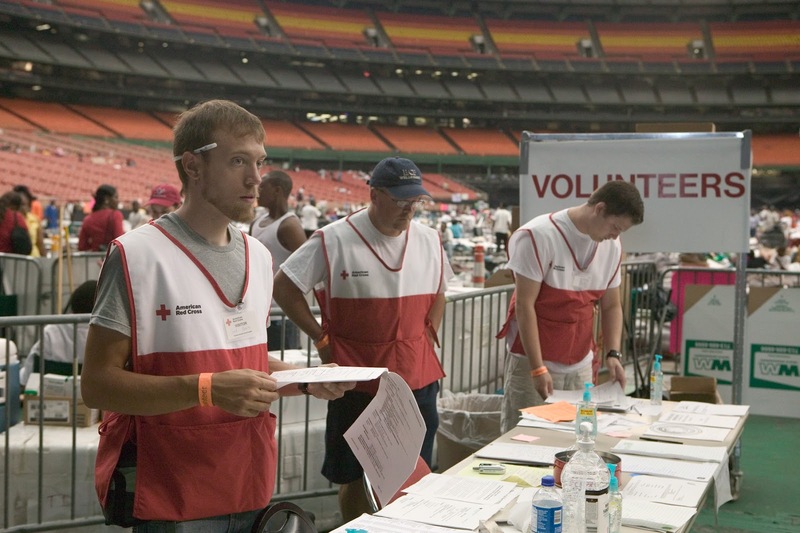 Without volunteers charities couldn’t function. 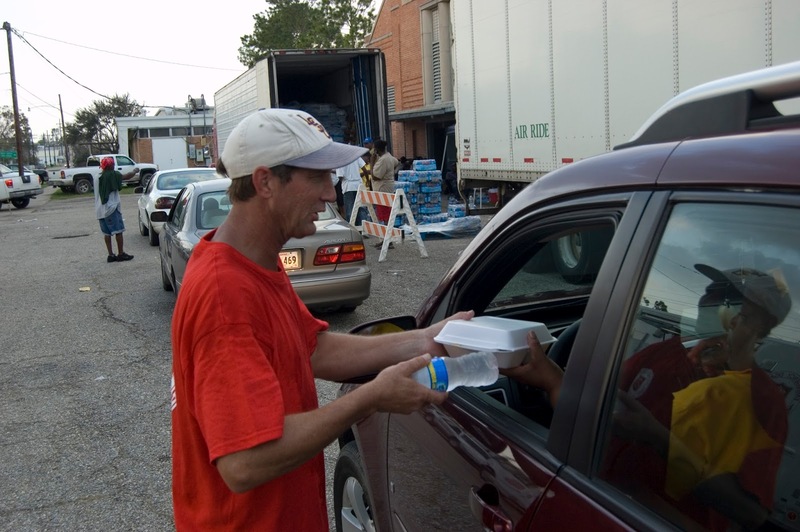 Without volunteers food pantries would be empty. And I could say the same for donors, who are so generous in the United States. They give so much and it’s wonderful to see. It’s amazing to see businesses stand for the good of the community. It’s crushed much of my own pessimism in life, seeing the generosity of so many toward our causes. I never really cared about charity, about religious organizations, and really about much of anything to do with civilized society. I just wanted to have fun. Today, after meeting Jesus I’m in love with non-profits, religious charities and organizations that generously serve their communities through donations. And most of all I’m in love with volunteers who take time outside of their work schedules to serve causes they believe in. As much as I talked big in the past about wanting to help the world and save the world, I could never manage to step into a non-profit and volunteer my time. Isn’t that interesting? As much as I sat around smoking pot and philosophizing about the latest liberal hope for humanity, I never really did anything about it. Now that I know Jesus, I do it unto the Lord. And I know it matters. Thank God for volunteers. They change the world, when so many talk big but don’t deliver, they actually step forward and do the work. Are you called to volunteer your time? It doesn’t have to be 15-30 hours a week. You could volunteer 1 hour a week, or even 1 hour a month. I’m calling on all people, most importantly young adults and millennials to break the selfishness mold in our culture and volunteer in meaningful ways in our communities. Be the change in the world. Do it for the Lord. Take care, God bless you, amen.